A report unveiled by the late opposition leader Boris Nemtsov's colleagues on Tuesday claims dozens of Russian soldiers were involved in the fighting in eastern Ukraine and died there. 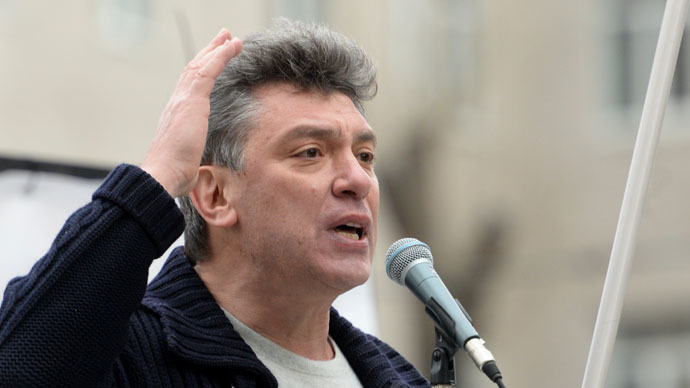 Nemtsov was unable to finish the report himself as he was shot dead in Moscow on the night of February 27-28, 2015. The fact that he had been working on the report was only revealed by his colleagues after his death. The report alleges that at least 150 Russian soldiers were killed in eastern Ukraine in August 2014. A further 70, the report claims, died in the violent fighting in January and February 2015 near the town of Debaltsevo in the Donetsk Region. The paper, available at the Open Russia advocacy website, was compiled from open sources, as well as the information Nemtsov said he obtained from the killed soldiers' relatives. The Russian authorities have not yet seen the report. "I am not familiar with that report, so I cannot comment on it yet," Kremlin spokesman Dmitry Peskov told the media. Russia has been accused of sending its soldiers and military hardware to assist the anti-government fighters in eastern Ukraine almost since the start of the conflict. The repeated accusations came from Kiev, Washington and their European allies, but were not backed by any solid proof. Moscow has rejected all of the allegations, with Foreign Minister Lavrov saying that any Russian citizens found fighting in Ukraine are volunteers acting on their own. This was echoed in January by the Ukrainian Chief of Staff, who said his forces were not engaged with the Russian Army.